The threat of Fascism in the years leading up to the Second World War and the Nazi invasion of the USSR also brought forth a number of propaganda posters from the Communist authorities. Several of these are collected in the book The Soviet Political Poster 1917-1987. Most of these are very much of their time, intended to encourage and strengthen the Soviet people’s resistance to the invaders. But I thought I’d select a couple to put up here, because their message, like that of the anti-war posters I discussed in my last post, has become intensely relevant yet again. Fascist regimes have seized power in Europe. There are genuine Nazis in the coalition governing the Ukraine, while the Hungarian government is also intensely nationalistic and anti-Semitic. And in the former Czech republic many of the parties are bitterly anti-Roma, and, like the Hungarian government to their south, anti-Islam. In Germany the Nazi Alternative Fuer Deutschland has entered the German parliament, while the Marine Le Pen’s Front National in France has been challenging the last few French presidential elections. And in America there’s the Alt-Right propping up Donald Trump’s government, led by Richard Spencer and Steve Bannon, and including figures like Milo Yiannopolis and Katie Hopkins. All promise their countries’ citizens a future of prosperity and stability, if they purge the country of migrants from the Developing world, Blacks, Jews, Muslims and Roma. And women are to be encouraged to give up their careers, and return to the home and raising children. The poster below shows the reality behind the Fascist rhetoric. It shows a grieving woman and child while Nazi forces goose-step around them. I realise this is another piece of historical hypocrisy, as Stalin’s collectivisation of agriculture was partly achieved through the creation of an artificial famine which killed millions of Soviet citizens. In Ukraine, the Holodomor, as this mass genocide is known, killed 8 million people. It created an atmosphere of bitter hostility to the Soviet state, which resulted in many Ukrainians greeting the invading Germans as liberators. In fact, the Nazis were anything but, and swiftly started persecuting the Ukrainians as ‘subhuman’ Slavs. 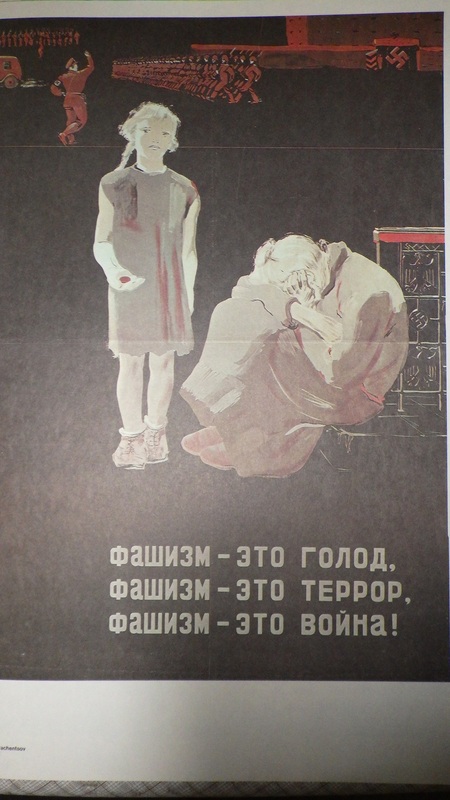 But apart from the horrors of Stalin’s Russia, the poster does show the reality of Fascism: poverty, terror and war for its victims and ordinary people at the bottom of the Fascist hierarchy. The poster below is an attack on Hitler’s invasion of the USSR in breach of the Nazi-Soviet pact. This treaty divided up eastern Europe between Germany and the USSR. 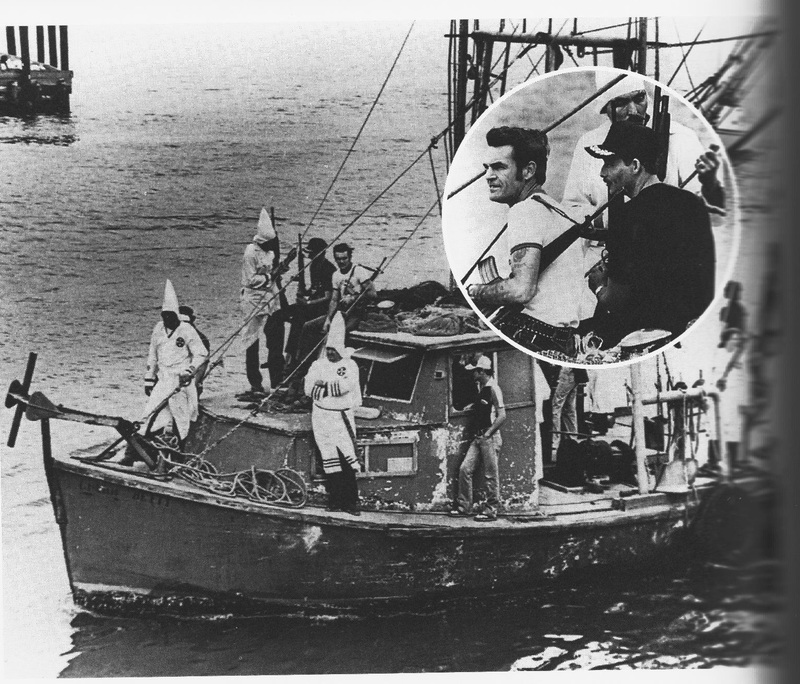 Stalin was taken by surprise by the Nazi invasion. The German forces were able to advance hundreds of miles into the USSR in a very short time because for a few days Stalin forbade his armed forces to shoot back. Eventually Stalin recovered, and pushed the Nazis all the way back to Berlin. Historians have said that it was the Red Army that broke back of the Wehrmacht. They’re the reason why we don’t have a Europe dominated by the Third Reich today, with Jews and Gypsies extinct, Poles, Ukrainians and Russians cleansed from a large section of their homelands, and the survivors degraded to a poor, uneducated class of peasant producers raising food for their Aryan masters. 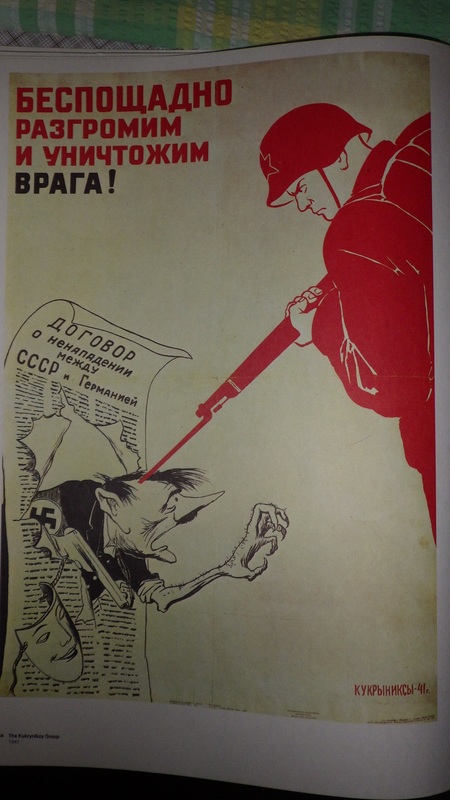 The poster shows Hitler, mask now fallen off, bursting through the Molotov-Soviet pact, being skewered by the bayonet of a squaddie from the Red Army. I put it up because I thought how great something like this would look if you just replaced Hitler with Richard Spencer.